Prediabetes (also known as impaired glucose tolerance) is a term used to describe high blood sugar levels that are not yet high enough to be classified as type 2 diabetes. Without lifestyle changes, most people with prediabetes are likely to progress to that diagnosis. In some case, people will be genetically predisposed to diabetes. It doesn't mean that it will happen—in some cases, it won't—but it does suggest that extra care needs to be taken if only to delay the diagnosis. To this end, the prediabetic person may choose to monitor his or her blood sugar with an at-home glucose monitoring device found online and in most major drug stores. 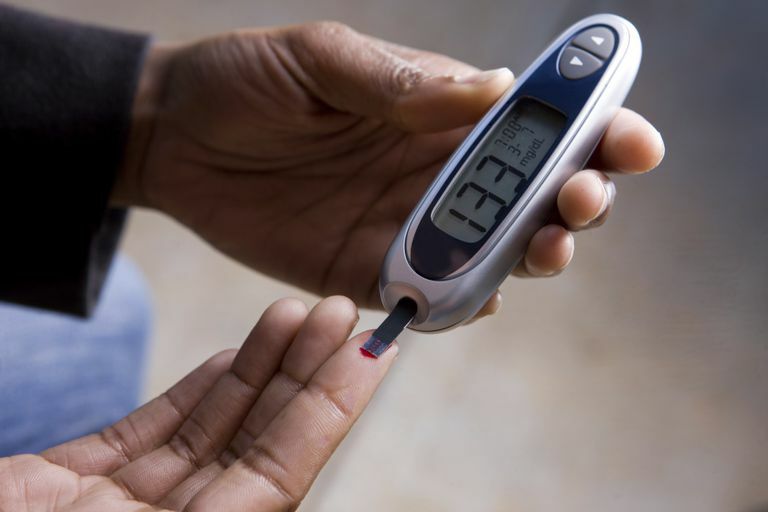 While blood sugar monitoring is generally not recommended for people with prediabetes (mainly because it has limited value in predicting type 2 diabetes), many consider it an invaluable tool in managing their condition. Here are four reasons why it may work for you. Most people with impaired glucose tolerance will only have their blood sugars and lipids tested only once a year. During the period between tests, people will often strive to make positive changes to their diet and health. Within several months, some of those resolutions fall away and, almost with knowing, they settle into a routine which is less than ideal. By the time of the next annual test, anything can happen. It's almost a crap shoot. By monitoring your blood regularly, the test is the one thing that becomes routine. You know where your blood sugar is every day, and you know exactly what you need to do to make it right. While the test may not be prognostic, it can be motivating. Every body acts a little differently to the foods we eat. You learn this when you start monitoring your blood sugars. Some people can eat a certain food and send their blood sugars skyrocketing. Others eat the same thing and have far less variability. By monitoring your blood sugar, you can begin to understand the peculiarities of your own body and identify the habits that help you and those that don't. These insights can lead to more lasting changes than simply following a diet or exercise program. You become a master of your body and a keeper of your own health. 3. You Can Prevent "Carb Creep"
One of the common mistakes when partaking in a low-carb diet is something called "carb creep." This is where you start your diet with very low carbs and gradually increasing to a point where you can do so without triggering an insulin response. It's a great idea but one with challenges. Oftentimes, as you begin to increase your carb uptake, you can pass the threshold without even knowing it. By the time you do, you are suddenly well over the limit and experiencing all of the things you hoped to avoid (weight gain, low energy, food craving). By monitoring your blood sugars throughout the process, you can reach your ideal limit without ever crossing it. Scientists and doctors alike have become increasingly aware that blood glucose matters as much in non-diabetics as diabetics. This is because elevated blood sugar usually does not occur on its own. When accompanied by high cholesterol and triglycerides, it can increase the long-term risk of heart attack and stroke. It is even associated with things like Alzheimer's, kidney disease, and certain types of cancer. This is not to suggest that non-diabetics should rush out to buy a glucose monitor. It does highlight, however, the importance of the monitoring blood sugar into those at increased risk of these and other long-term illnesses. While blood glucose monitors are not terribly expensive, the test strips sometimes are. In some cases, they can be as high as a dollar per strip. Buyer discount cards are often available online, offering savings up to 75 percent on bulk test strip orders. Newer, strip-free models are also available. While they tend to be more expensive, they may end up costing less in the long run. Since insurance usually doesn't these costs for prediabetics, take your time and speak with your doctor or pharmacist about the device that may be right for you. Middlebeek, R. and Abrahamson, M. "Diabetes, Prediabetes, and Glycemic Control in the United States: Challenges and Opportunities. "Ann Intern Med. 2014; 160(8):572-573. What's the Ketone Level in Your Blood? Do You Have Low Blood Sugar After Eating? What Should You Look for When Buying a Blood Sugar Meter?